CHINA will become a country of a billion plus Western-style middle class consumers is what many people have been telling us for many years. Its unstoppable economic rise involves hundreds of millions more Chinese rising out of poverty as the economic boom moves steadily westwards into its poorer regions, is the popular narrative. Granted, the regions in the very far west may not catch up with rich China for many generations if they catch up at all. But the argument goes that the “middle regions”, those closer to the booming eastern and southern seaboard, have huge potential. These include the likes of Sichuan, Hubei and Henan. 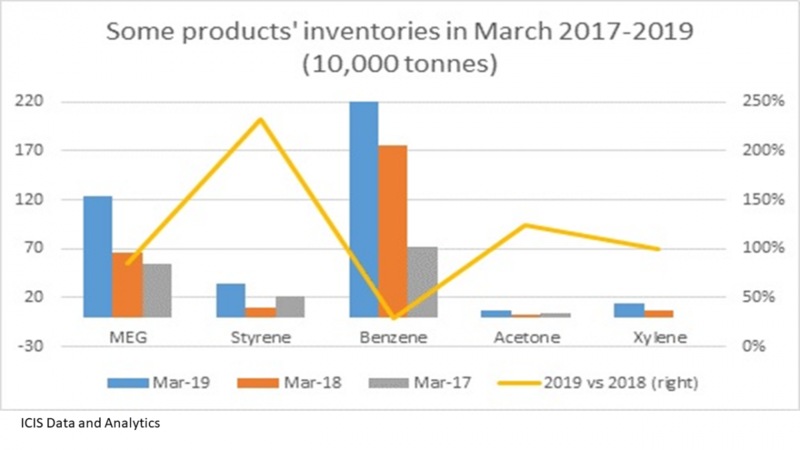 This then leads to optimistic estimates of future demand growth for all sorts of consumer durables such as automobiles, scooters and motorbikes, washing machines, refrigerators and TVs etc. Take this upstream and this leads to equally upbeat forecasts for chemicals and polymers used to make durable goods. 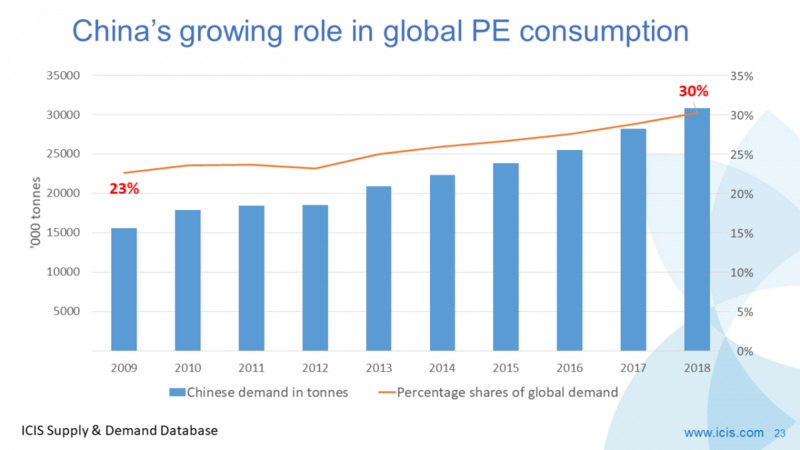 One problem with this comforting narrative is that China is already punching above its weight in terms of its percentage share of the global population versus its percentage shares of global demand for just about everything. As of 2018, China accounted for 19% of the world’s population. But if you look at everything from smartphones to TVs, the China market accounted for a third or more of global demand. The same applies to global chemicals and polymers that go into durable goods such acrylonitrile butadiene styrene (ABS) and polypropylene (PP). 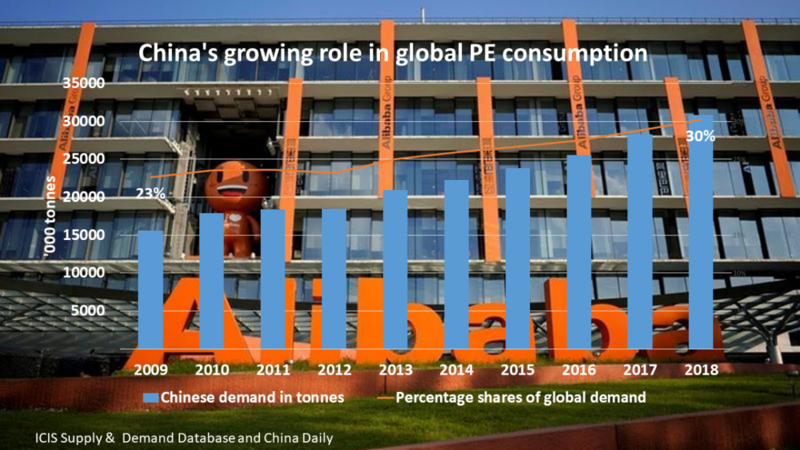 China was responsible for what we estimate was 53% of global consumption of ABS in 2018. In the case of PP it was 37%. The obvious explanation for this disparity is China’s vast export focused manufacturing industries. Of course we all know that this position is now under threat from an ageing population. 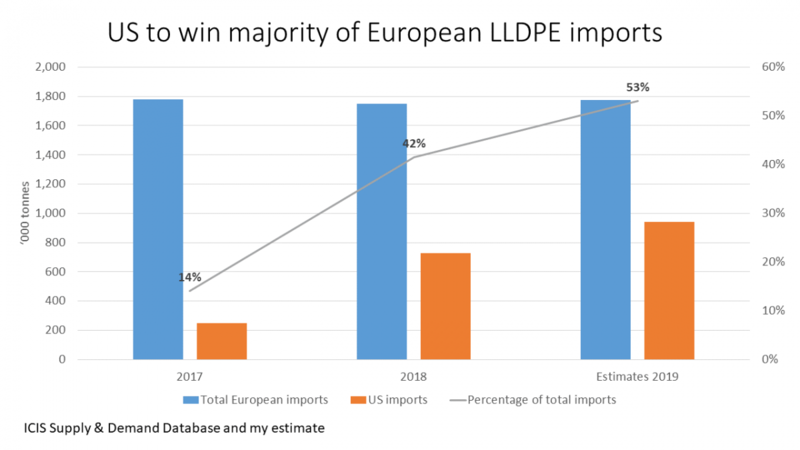 But the popular narrative insists that nothing can get in the way of China becoming a richer country as it successfully switches its focus from exports to domestic consumption as a driver of growth. How is this going to be achieved given the quite shocking severity of its demographic problems? As you get older, definitively, you spend less money as you have a.) Bought most of the things that you need, and b.) You are living on a pension (in China’s case, very likely an inadequate pension). Equally as bad will be the fall in the 30-49 age group during this same time frame. It is forecast to fall by a quarter or by more than 100m. This is the generation that tends to be the most innovative and entrepreneurial. Rural-to-urban migration that has already taken place has led to western China greying faster than the cities. In 2040, a third of the total rural population will be 65 or over, double the ratio for urban China. Solutions include mass immigration on a scale the world has never seen before – 100m people, which would lead to major political and cultural problems. And/or China could persuade its own people to raise their birth rates. Last year, though, saw the lowest number of births in China in half a century, even though the One Child Policy was abandoned in 2016. Demographic evidence from around the world suggests that once people have got into the habit of having very few children, it is very difficult, if not impossible, to break this habit. Take South Korea as a very good example. Let’s assume that habits are changed and the national birth rate is raised well above the population replacement rate – 2.1 births per mother. There are no short cuts here, I am afraid. It would still take 20 or so years for all the new babies to join the workforce and boost consumption. 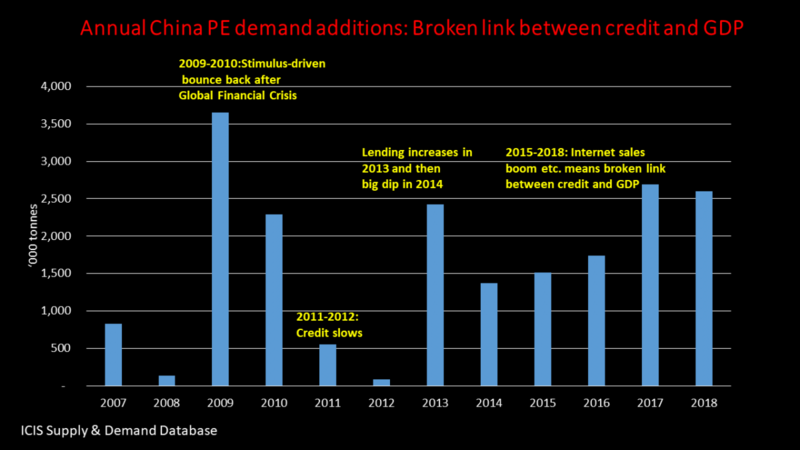 The other problem is growing unease and outright resentment over China’s economic rise. In the rich Western countries, nobody cared much about losing manufacturing jobs to China during the Economic Supercycle. The reason was that the Babyboomers had yet to start retiring in big numbers. This meant that there was a surplus of demand over supply, thanks to expanding, or at least stable, working age populations. But now working age populations are shrinking as automation and the gig economy cause further economic disruptions. Instead of people being happy that they can buy lots of cheap stuff from China, they feel, as I said, resentful and angry towards China. 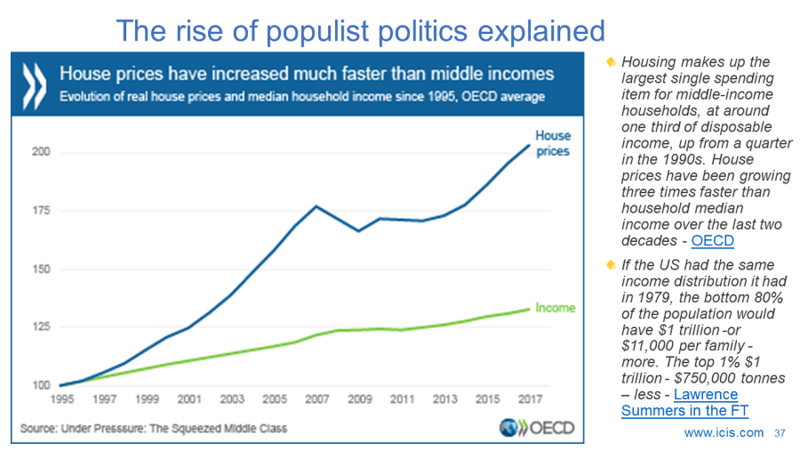 Populist politicians have taken advantage of this anger. For China this creates the added risk that it will fail to compensate for its ageing population through moving up the manufacturing and services value chains. The new political reality in the West could mean that it won’t be able to access the technologies it needs to follow in the footsteps of South Korea. In the 1980s, South Korea faced the same problem of an ageing population. But it has successfully transformed itself from a seller of low value goods into a world-respected producer of high quality autos, memory chips and smartphones. The China that we all know today is one of conspicuous consumption, of extraordinary recent growth in personal wealth in the rich coastal and eastern regions – and, increasingly, also in “middle” China. 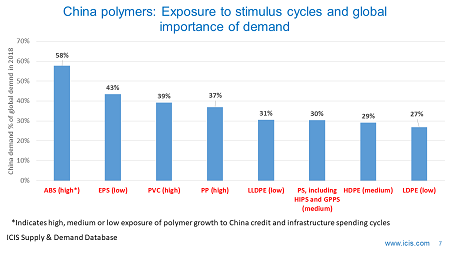 But the China of tomorrow could be very different with major negative implications for chemicals and polymers. 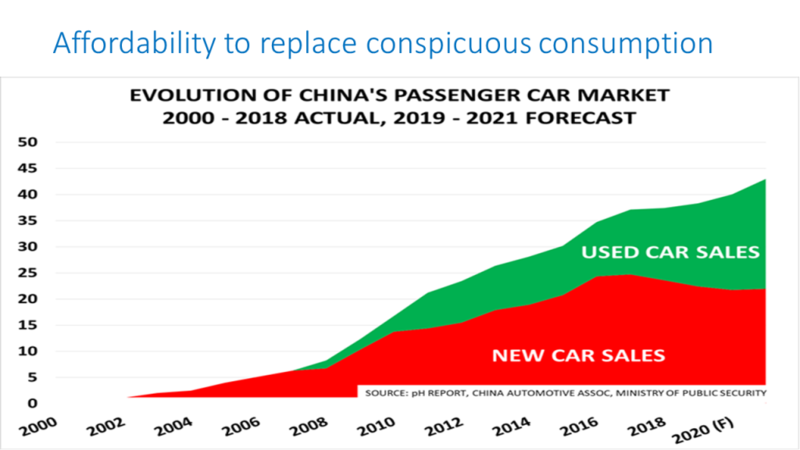 The chart at the beginning of this blog post shows projected growth in China’s second-hand car market. Right now, second-hand car sales are only around 60% of new car sales in China compared with 2-3 times new car sales in Western countries. If China fails to deal with its ageing population, and faces an ever-more hostile West, we might see second-hand car sales at more than three times new car sales in China. This would help compensate for slowing growth in income levels. The government may quite simply mandate major growth in the second-hand car for affordability reasons – more than we have seen in any other autos market. Might incentive schemes be introduced for people who keep their washing machines and refrigerators for longer? Could local manufacturing standards for white goods be raised to make these schemes work? 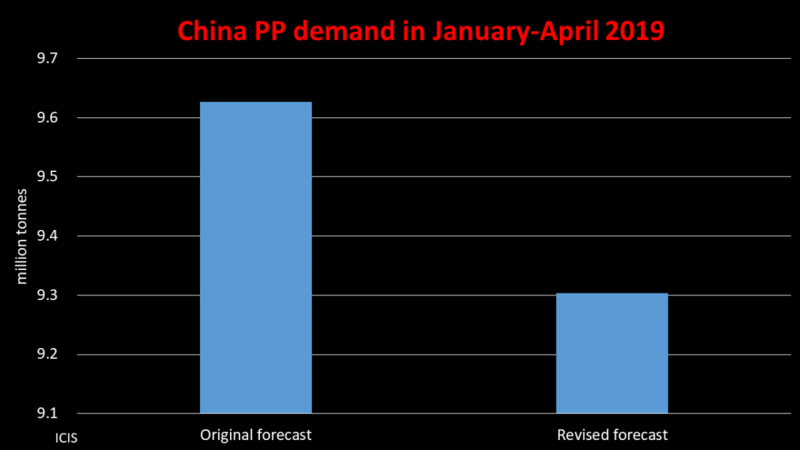 We’ve already seen big leaps in the quality of China’s domestic auto production. Inconceivable and impossible, you might think. Why, exactly?